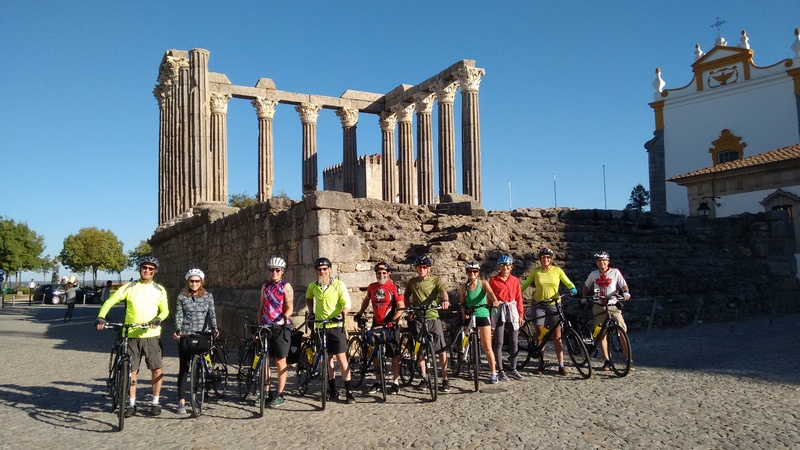 Overview: This is the final stage of our ride across the southern half of Portugal and involves some real contrasts – from the open rolling landscapes of the Alentejo to the stunning Arrábida coast… and the urban sprawl that surrounds the Portuguese capital. 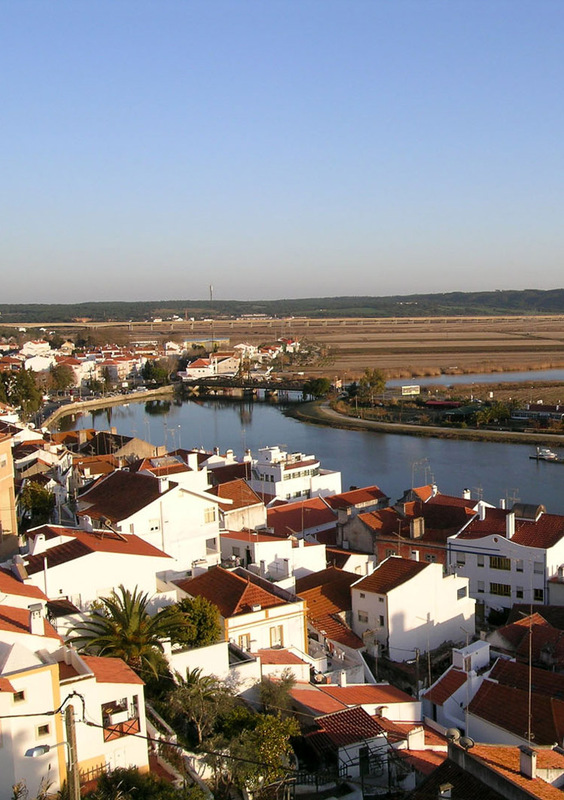 Leaving Évora, the route heads west on quiet country roads and skirts the wetlands of the Sado estuary before turning north up the Tróia peninsula. From Setúbal you can either take the train into Lisbon or detour out through the Serra da Arrábida and catch a ferry across the Tejo. Distance & Difficulty: Total distance on the route shown above is about 187km (117 miles). We took a slightly different, shorter route north of Setúbal taking the N10 from Azeitão but this was very busy with lots of HGVs and not to be recommended. Going via the N378 is about 20km further but should be much quieter. 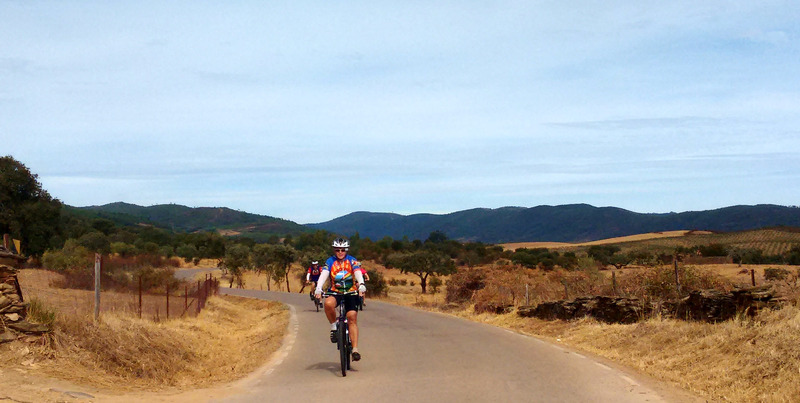 Most of the ride – from Évora to Setúbal – is gentle to easy and on minor roads. The Troia Peninsula will be busy during the holiday season and at weekends but otherwise should be pretty quiet. Things are completely different on the other side of the Rio Sado. The road through the Serra da Arrábida starts gently enough but develops into a real killer climb – and that’s without tackling any of the precipitous side roads down to the beach! The riding gets easier again once you reach the N10 but it’s a busy route until the turn off for Seixal, by which time you’re also into the urban area on the south of the Tejo estuary. 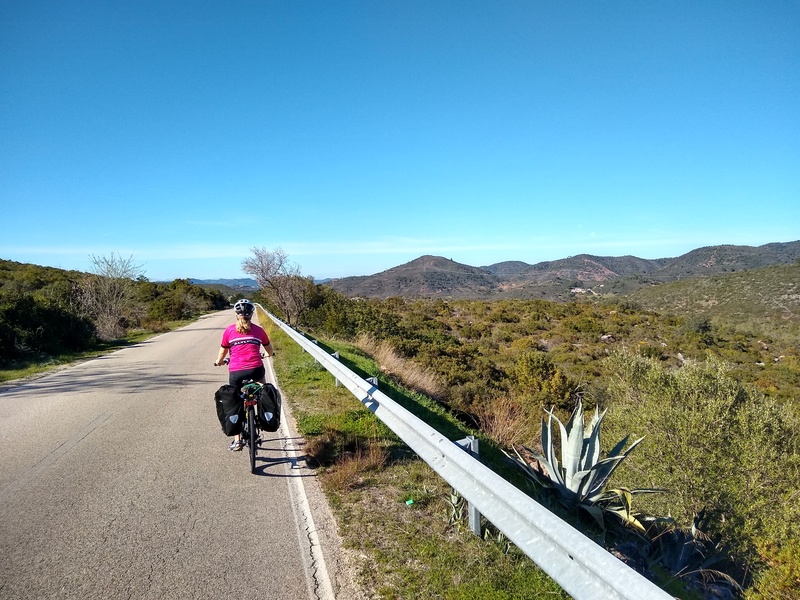 Stages: We did this in three days – 74km to Alcacer do Sal, 48km up to Setúbal and then 44km to get to Lisbon (the route shown on the map is about 52km). You could take a more direct route from Setúbal to one of the Lisbon ferries but – although it’s a tough ride – it would be a real shame to miss the Serra da Arrábida. If you’ve got more time, I’d recommend riding out beyond the Serra da Arrábida to Cabo Espichel, where there are some spectacular cliffs and wonderful views. On the way you’ll pass the turning for Sesimbra, which is pleasant enough but very touristy – and the only way in and out of town involves a huge hill that you’ll regret descending! Details: Leaving Évora, the route shown takes you out to Guadalupe, from where a fairly rough dirt road leads out Os Almendres – one of Iberia’s largest prehistoric stone circles. It’s about 4-5km along the track, at the end of which is a small parking area and a large space among the cork oaks where 92 ancient stones are arranged on a gentle slope that looks out over the surrounding countryside. The rest of the day’s ride is on very quiet roads, gradually dropping as you follow the Rio de São Cristóvão down towards Alcacer do Sal. Closer to the coast you may see a large of storks nesting in the treetops. Alcacer is a small but attractive river town. The river front has been done up quite a bit in recent years and it’s a pleasant place to wander with a handful of restaurants and cafes. Beyond Alcacer, the road parallels the beginning of the Sado estuary, which is not only an important wetland area for birds but also home to a number of dolphins – although their numbers have declined sharply. The road here is pretty flat and to be honest there are no views of any note along this section. At Comporta, you reach the beginning of the Troia Peninsula – a big sand spit that divides the Sado from the Atlantic. Riding along, however, you don’t get many views of either the estuary or the sea, mostly you’re looking at a somewhat barren landscape of sand, scrub and pine trees. After riding for about 16km (10 mile), the road reaches a rather incongruous cluster of tower block hotels where the tip of the peninsula has turned into a rather incongruous and over-developed holiday resort. 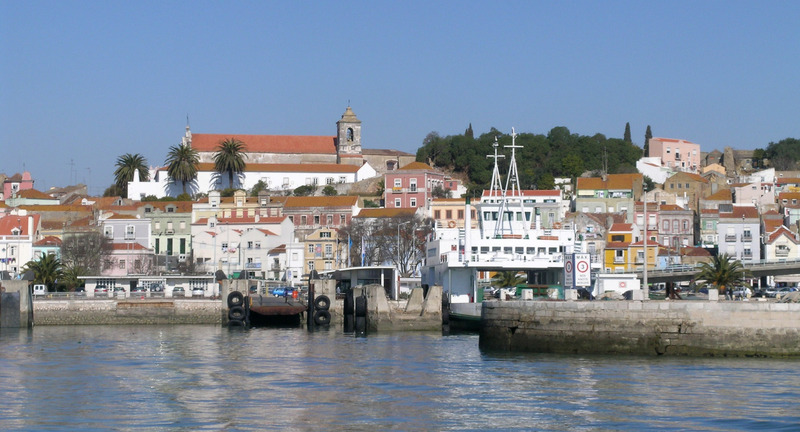 It’s a short ferry ride from here across to Setúbal, which is one of Portugal’s biggest ports. The city isn’t exactly beautiful but there are some attractive old areas if you take the time to seek them out – there are also lots of pricey fish restaurants along the main drag, plus many much cheaper (and equally good) options if you go back a block or two. If you head immediately west from Setúbal you’ll be in for a real treat. 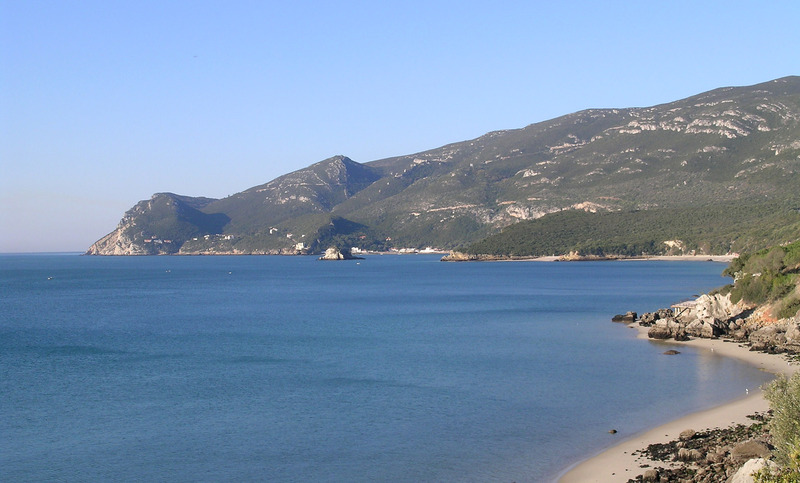 There are some gorgeous beaches just a few kilometres away – which just get better and better as you keep going – and the hills of the Serra da Arrábida are also extremely beautiful, if steep. As the road heads west, it climbs away from the coast. There are several side turnings back to the coast, as well as to the tiny harbour at Portinho da Arrábida. Any of these are worth taking but it will be a long, steep descent and then a real slog to get that height back! Once over the hills, our route took us round onto the N10, which is a busy road used by lots of lorries. You might do better to head further west to the village of Santana and then try the N378 north. There are several ferries across the Tejo – all of which carry bikes for free (as long as there is space). We rode to Seixal and caught the boat from there to Cais do Sodre, which is right on the waterfront in the heart of Lisbon’s old centre – and handy for a number of cheap hotels and restaurants. Accommodation & Provisions: There are a handful of villages between Évora and Alcacer but I don’t remember anywhere with anything much more than a basic cafe so do take supplies! Alcacer’s castle contains a pousada – although there are also less expensive options in the town and a campsite just to the north. Setubal offers more options, plus larger supermarkets. Dear Huw, we bought your book on Alentejo and did that tour last Easter. 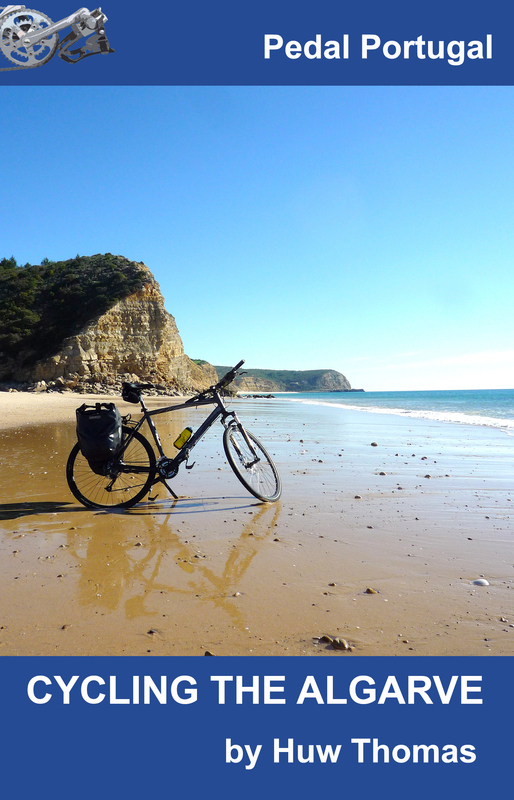 Thanks for the tips and info on all about cycling in Portugal. 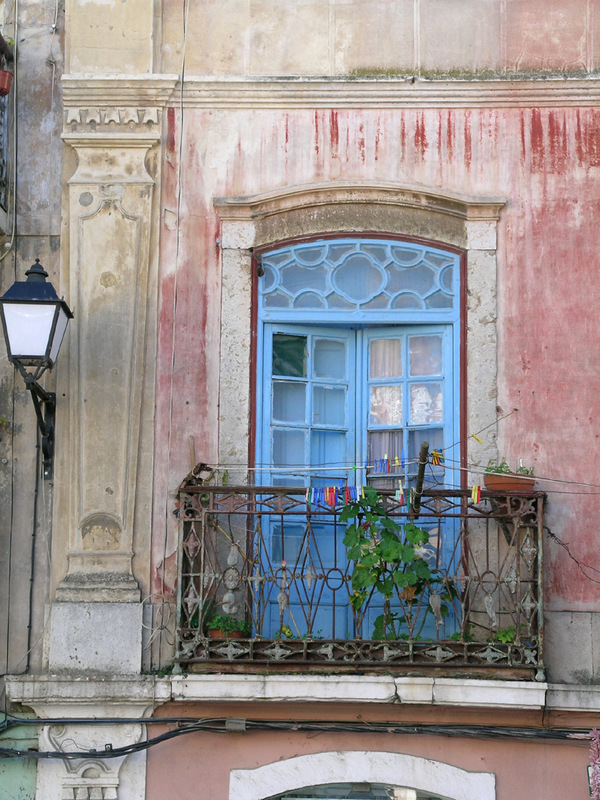 Portugal is really Europe´s hidden gem! Perhaps you should stop publishing for fear of invasion from wine-loving cyclist like us! 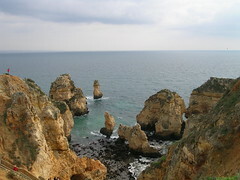 It was so enjoyable that we are now planning thus year´s Easter tour roughly along Lisbon- Evora, Beiras- Douros- Porto. My question is on cycling from Lisbon to Evora. Which is best: doing Stage 4 in reverse (as you outline on the page) or follow Ecovia 11? Delighted that the book was useful. Agree with your comments on Portugal. I don’t want it over-run either but there is quite a bit of space! 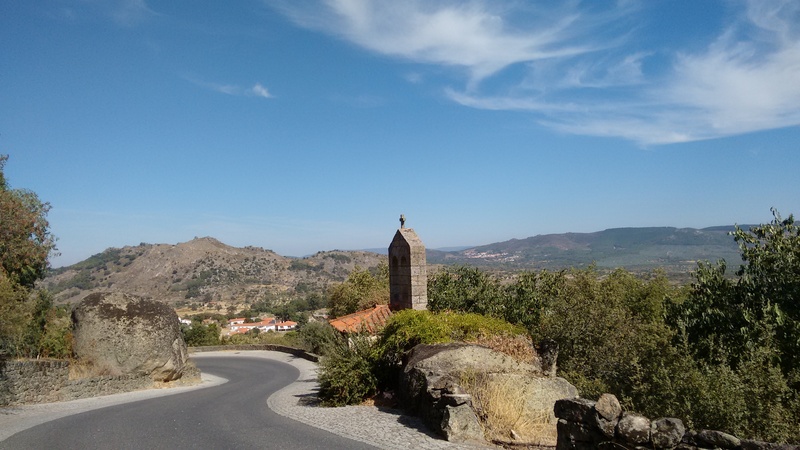 Off the top of my head I can’t remember the Ecovia route – some of the Portuguese ecovias tend to be aspirations rather than actual cycle routes so be warned. Email me any details you have via pedalportugal@gmail.com and I’m happy to comment on any stretches I know.